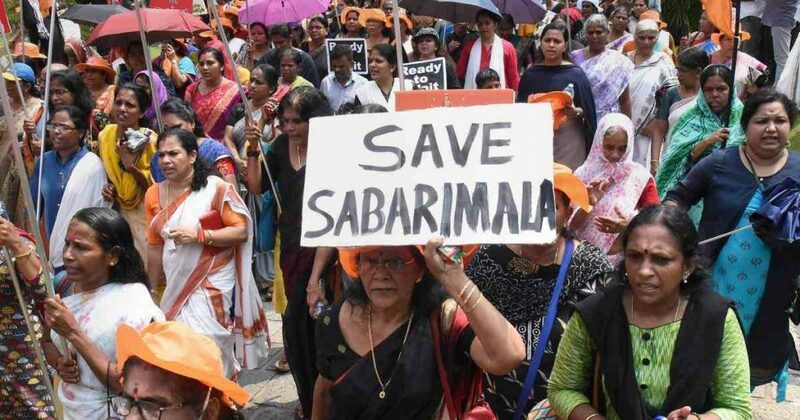 Both the Sabarimala and Ayodhya controversies are essentially born out of faith, and the Sangh and BJP are ready to wring electoral mileage out of such emotive issues. As we move towards the general elections in 2019, development is no longer the article of faith the Bharatiya Janata Party (BJP) embraced and swore by in the 2014 pre-poll campaign. Instead, matters of faith have come to define BJP’s strategic moves and counter-moves. “Samaj is not ruled only by law,” said the Rashtriya Swayamsevak Sangh (RSS) chief Mohan Bhagwat at a conclave of sadhus convened by the Vishwa Hindu Parishad (VHP) at Ayodhya on Sunday, November 25. Is the 2019 election going to be fought on the terrain of faith vs rationality – faith vs ground reality? How many jobs have been generated? Has the quality of school education improved? 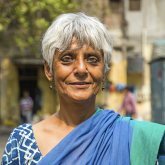 Do the subalterns have greater access to quality public health systems? For the political classes – in power or outside – these are not poll-friendly issues. Instead, they focus on the intangible matters of faith, which can rile up passions. Let’s consider the controversy in Ayodhya. The VHP wants the government over which it believes it has proprietorial control, to start facilitating building a Ram temple at the site the Babri Masjid was demolished in December 1992. Adding heft to the demand, BJP’s recalcitrant ally and Shiv Sena supremo Uddhav Thackeray too landed in Ayodhya this Sunday. The stage appears to have been set for a replay of the Ram janmabhoomi saga, a throwback of a different kind to 1992. If Ram has become a pawn to be moved across north India’s poll chess board, Sabarimala’s Lord Ayyappa is rivalling him in the south. The ugly row around the entry of women of all ages into the temple is premised on yet another notion of faith. Large sections of devotees believe the entry of women of menstruating age will upset the celibate god. Both BJP and Congress are spurring on devotees inspired by faith. It appears that faith, for the ruling party and its allies at the margins and at the political/ideological centre-stage, has precedence over courts and the constitution which define India as a nation. Both the Sabarimala and Ayodhya controversies, riddled with social and political implications, are essentially born out of faith. And Sangh and the ruling BJP are readying to wring electoral mileage out of such emotive controversies. More than development, faith seems to have become the mascot the BJP will project and advertise in the run-up to the 2019 Lok Sabha elections. 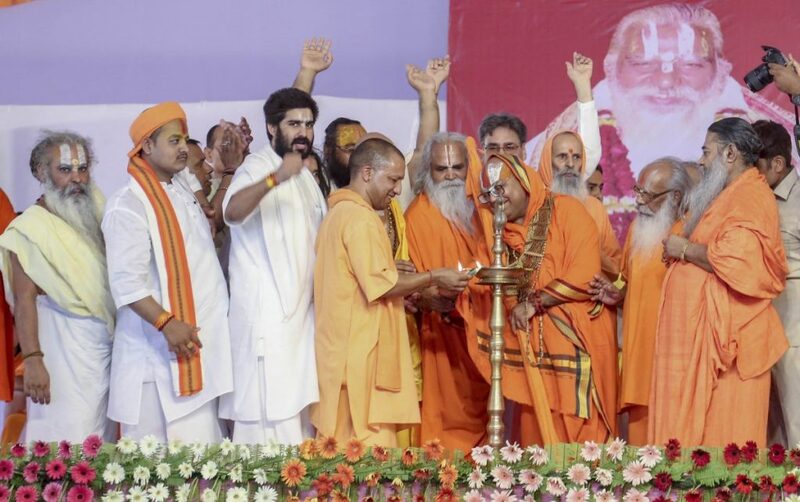 On the face of it, the Sangh’s different affiliates – the VHP, the BJP and its allies – seem to indulge in competitive Hindutva politics around Ram temple. But scratch the surface, you find a firm unity of purpose. Never mind their seemingly contradictory, even belligerent snipes at each other. One must look beyond the immediate to understand the long-term implications of the recent renewal of Ram janambhoomi as a political and electoral instrument. 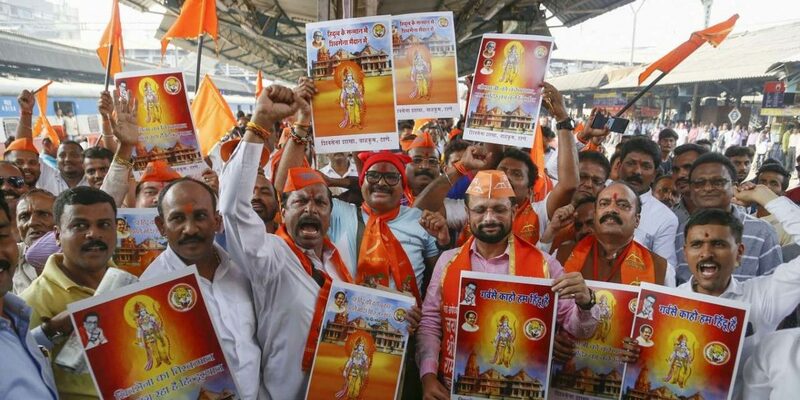 The same day the VHP gathered its followers at Ayodhya and Uddhav Thackeray lent his explicit support to them, UP’s BJP chief minister Adityanath revealed the image of the Ram statue his government is planning to build on the banks of the Sarayu river. The move was perceived to be a manoeuvre to outflank Thackeray’s hyped-up campaign for a Ram temple. Is the VHP’s aggression disquieting for the BJP? Is it going to be a headache for the saffron party in the months ahead? Now in power, the BJP can no longer play the agitator’s role it played in the 1990s Ram janambhoomi movement. But does that hamper its core ideological agenda? Or do the dissonant strains emanating from the different Sangh camps strengthen its agenda? It may be argued the basic refrain taken up by Sangh’s affiliates may differ in form, but the kernel is the same. For instance, a day after the ‘Dharam Sansad’ in Ayodhya, senior BJP leader and Union minister Uma Bharti went all out to back Thackeray’s visit to Ayodhya. “Yes, I appreciate Uddhav Thackeray for his effort. BJP doesn’t have a patent on Ram Mandir, Lord Ram is for all,” Bharti told news agency ANI on Monday. Her statement comes a day after two of her party leaders – Uttar Pradesh deputy chief minister Keshav Prasad Maurya and Ballia lawmaker Surendra Singh – blamed the Shiv Sena for usurping the BJP’s Ayodhya agenda. The Atal Bihari Vajpayee government did not walk that extra mile to complete that goal. The VHP expects the Modi government, with its overwhelming majority in the Lok Sabha, to stick to the Sangh’s core political agenda. It expects the Modi government to deliver a Ram temple at Ayodhya.